If you are a small company and feeling the pinch in your marketing budget then these tips are for you. Alternatively if you are like most of the world’s population and like something for free then this blog should be just up your alley. Having a website is critical for most businesses but there is more to the online world than just building a website. Potential and existing customers need to find the website and they can’t do that if you have hidden it down a dark alley. So we all like the word free right? Here are some ways to get people visiting your website and the best is they don’t have to cost you a cent. Send out an email marketing campaign. Some tools like Mailchimp and Everlytic offer free services to small email addresses. Let your customers know that you have a website and what they can expect to find there but don’t forget that there needs to be an unsubscribe feature on all emailers. Create a blog. It is best to have a blog on your website but if you don’t create a free blog site like WordPress which offer some great templates to choose from and then tempt your customers with some free advice or tips. Learn SEO. Search Engine Optimisation is all about getting free clicks to your website by being in a good position on Google’s search pages. 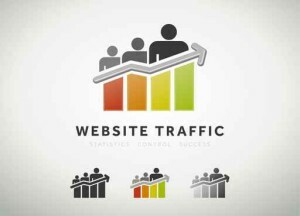 Read tutorials online and learn about how to optimise your website for better rankings. Be visible. Include your website address on all marketing materials including your email signature, business card and flyers. Be nice. Approach some well-known bloggers with your product or service and perhaps if they like it, they might chat about your company on their blog. Mostly, the blogger will include a link to your website and that means potential free clicks. Get social. Facebook, Twitter, Pinterest; LinkedIn & Instagram all offer free business accounts. Find the social media sites that work for you and then utilise those to grow your followers and promote your product or service. Remember not to overdo it with your sales message; social media is about engagement and having a conversation with your followers. Promote others. Mention and promote other businesses in your blogs or social media sites and hopefully this will be reciprocated. Remember to be genuine in your review and keep the message sincere. Set up your business on Google. Google+ is a social media site that any business can use and also if you have a shop or office then make use of Google Maps. Online PR. If you are doing something new with your product or service or perhaps your company is involved in a charity event, notify your local newspaper to see if they might feature this. Remember that the newspaper should have an online version and include a link to your website. Links. Find other businesses that will link through to your company website. It might be a supplier or a business that you have a synergy with. Be careful not to get irrelevant links as this will destroy your credibility. Getting traffic to your website can be a slow process but be patient and keep marketing your website; the traffic will eventually increase.